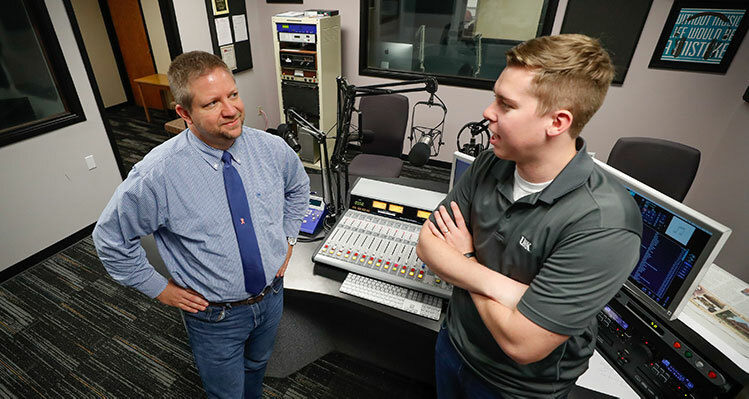 KLPR 91.1 FM is an award-winning, FCC licensed FM radio station, staffed by UNK students. With a newly remodeled studio and production suites, state-of-the-art equipment, 3800 watts of power, and web streaming capabilities, KLPR offers the latest in digital radio technology. Student DJs and announcers produce a wide variety of music, sports, talk, news, public affairs, and special interest programming. The FCC Public File can be accessed here.